I would never have expected to see legal moonshine being sold in my local Costco in Los Angeles. When I saw the Tennessee apple pie moonshine for sale, I knew I had to get it. During my travels across America as a pitmaster and the world as an airline pilot, I’ve sampled hooch ranging from “Happy Sally” white lightning to Indian toddy from the fermented sap of the flowering palm in Southeast Asia. Illegal moonshine is sold by a bootlegger and the word moonshine comes from the fact that it’s done underground or “in the moonlight”. 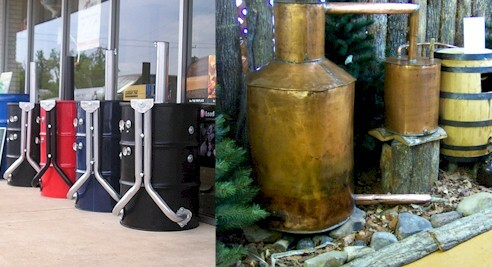 One thing I find pitmasters have in common with moonshiners is the diversity of their chosen equipment: BBQ smokers versus custom moonshine stills. 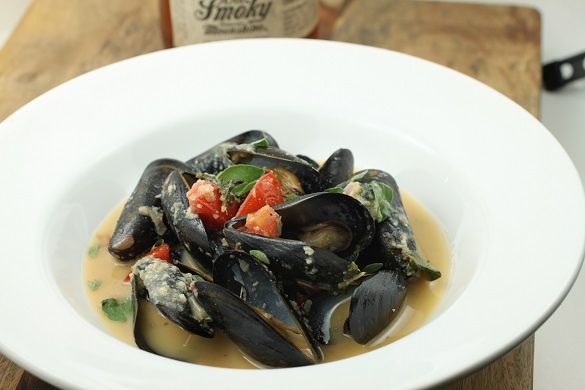 Since Costco also had fresh mussels for sale, I decided to use the moonshine to make a sauce to steam the mussels. 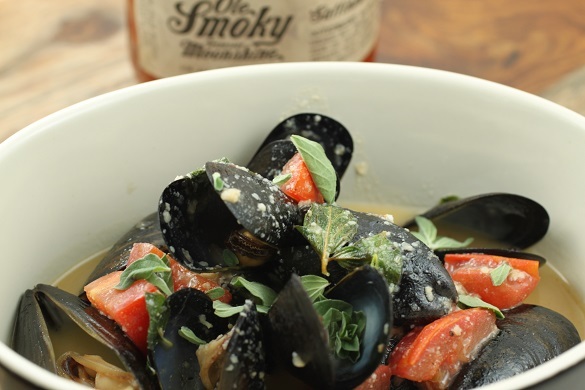 You can also try my recipe with clams. If you can’t find any apple pie hooch, use your favorite Tennessee whiskey and add 1 heaping teaspoon of sugar. Move your saucepan back onto your stovetop burner and keep it there until it just begins to boil. 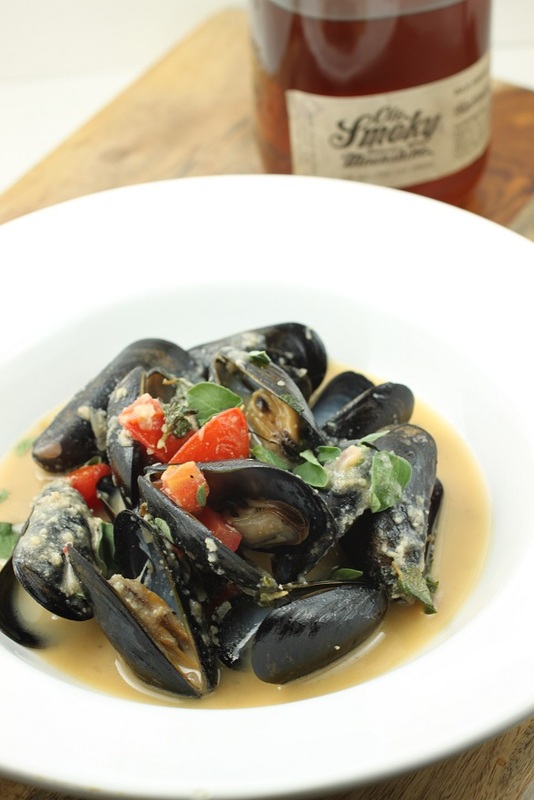 Once the liquid boils, put in 1 lb of washed mussels. 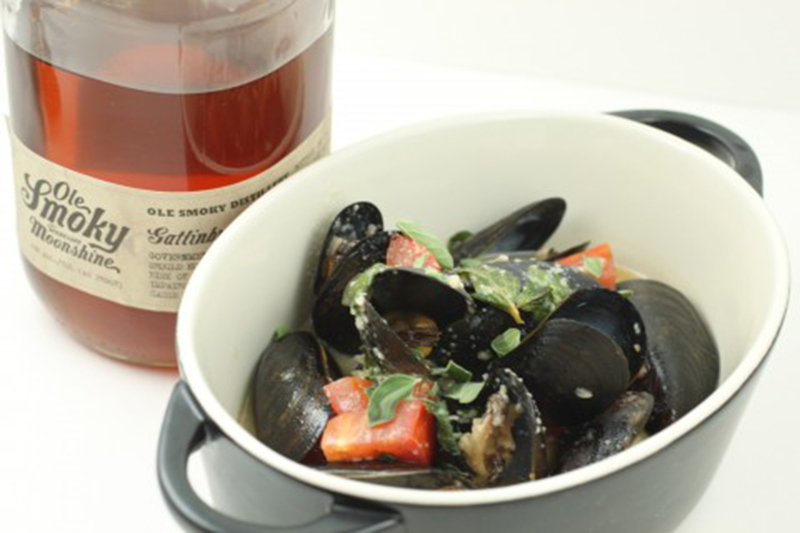 Cover your saucepan with a saucepan of similar size and cook until mussels open, about 4-7 minutes. Discard any that don’t open.